The MG Centre of Sydney was started in 1994 by Stuart Ratcliff in Granville, Sydney. Stuart is a MG enthusiast and did his trade as a panel beater and ran his own restoration shop before opening the MG Centre of Sydney. An opportunity came up to take over an MG parts distribution business and this was expanded into the existing business structure that incorporates a workshop and MG RV8 RAWS compliance. RV8 Cars Pty Ltd offers compliance for MG RV8s for the Australian market they import cars from Japan or will comply a car a customer has imported. A few years ago they moved to their current premises in Cowper Street and after thirty years in the trade Stuarts passion for MGs is stronger than ever. With his wife Sally they maintain an expansive array of spare parts for MGs and the workshop has one hoist that allows Stuart to help owners get their cars back on the road. 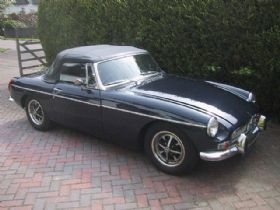 A lot of his customers have had an MG sitting in the garage for some time and want to get it registered and enjoy the benefits of driving their MGA, MGB or Midget. Stuart can perform all the mechanical work necessary to bring the car back to road worthy condition including going through the braking system, radiator, electrical system and engine to ensure a customers car is safe and reliable once it passes registration. 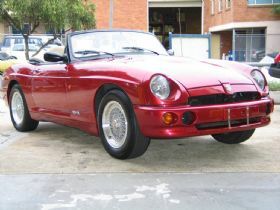 The MG Centre of Sydney carries a large range of spare parts for MGA, MGB and Midget owners. Parts include new, reconditioned and some used parts. They occasionally wreck a car if it is beyond salvaging and add the parts to their inventory. 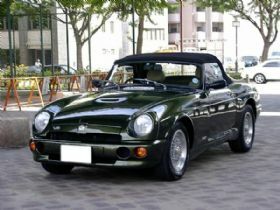 The company is the only organisation that offers compliance for MG RV8 models. Some year ago there was another competitor but with the changes to importing specialist vehicles imposed by the government Stuart spent eighteen months gaining the RAWS compliance authority and now performs compliance work on customers cars and their own imported RV8s. There were roughly two thousand RV8s produced between 1993 and 1995 with only one car coming to Australia in 1993 for the Motor Show. Stuart can also provide an aftermarket power steering kit for the RV8 that he developed here in Australia which makes parking and manoeuvring a breeze. The experience gained from RAWS compliance of RV8s is now being utilised to comply MGF models for the Australian market. Ex Japanese cars are able to be sourced in good condition with less than fifty thousand kilometres on the clock and can be complied and ready to go at a reasonable price. 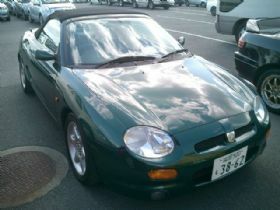 MGF models offer MG enthusiasts the same wind in the face top down experience with all the mod cons like air conditioning, power assisted disk brakes and steering in a more modern, safe and comfortable cabin. So what makes the MG Centre of Sydney stand out amongst other MG related businesses? Firstly, there is an expansive range of spare parts in stock at all times and if they dont have it in stock they can get anything in a fortnight. Secondly, both Stuart and Sally pride themselves on offering a personalised service and will go the extra mile to help customers out when most other providers have lost interest. Thirdly, with Stuarts background in restoring MGs there is a vast personal knowledge of the cars, how they were made, nuances and interchangeability of parts. 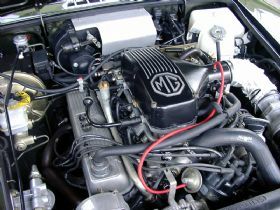 When you combine the knowledge from restorations with the experience gained in complying RV8 and MGF models and add the workshop, spare parts business and a large dose of enthusiasm for all things MG you start to get an understanding of how this successful business will prosper in the future. Over the years Stuart and Sally have had many classic MGs and currently they own four or five that are deemed works in progress. Stuart did confess to owning Jaguars in the past although his passion for all things MG has resulted in him being a life member and past President of the MG Car Club. He is still involved in the club but no longer is a committee member. If youre interested in getting your MG back on the road, are looking for parts for your MGA, MGB or Midget or require compliance or servicing on a RV8 or MGF give Sally or Stuart a call on (02) 9682 6655. The business is open between 8.00 and 5.00 Monday to Friday. They will be only too happy to assist with your requirements.